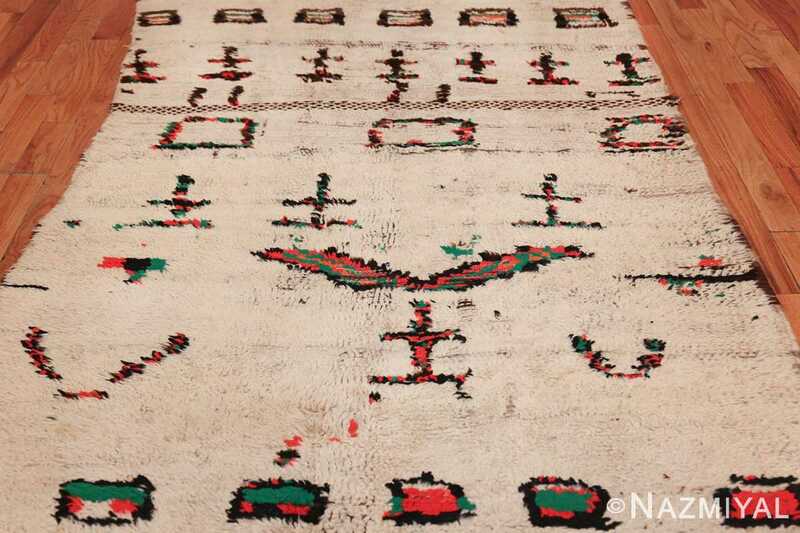 This Moroccan rug boasts a highly complex composition of intriguing rival elements, colored in vibrant shades of red and green. 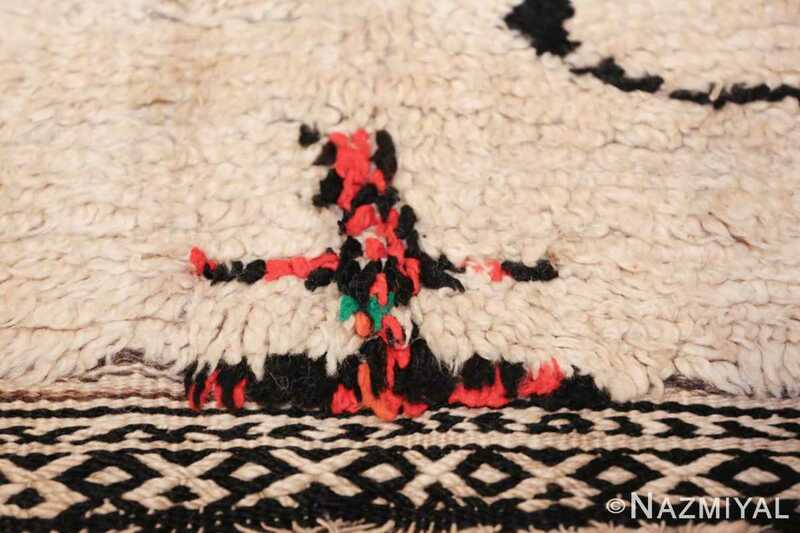 Vintage Moroccan Rug, Origin: Morocco, Circa: Mid-20th Century – Here is a beautifully composed and rare vintage carpet – a vintage Moroccan rug, woven in the mid-twentieth century. 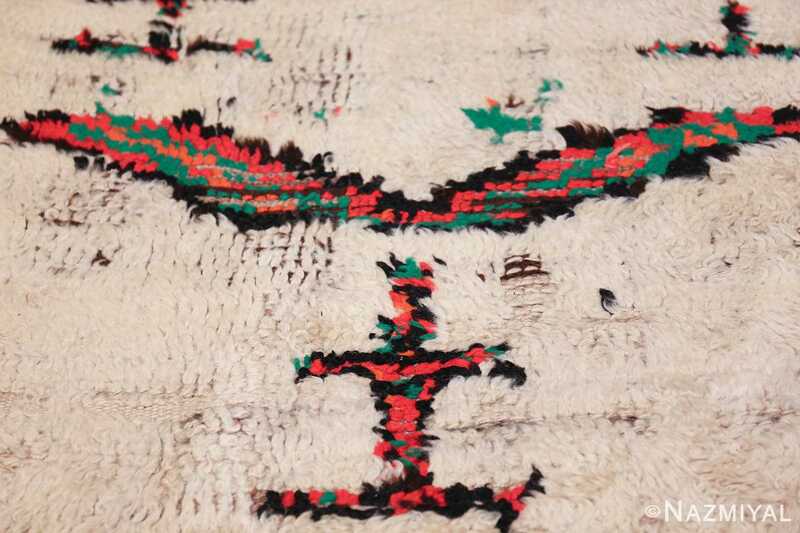 A dynamic and exciting composition, this beautiful mid-century rug showcases some of the finer and rare qualities exhibited by the mid-twentieth century Moroccan rug style. 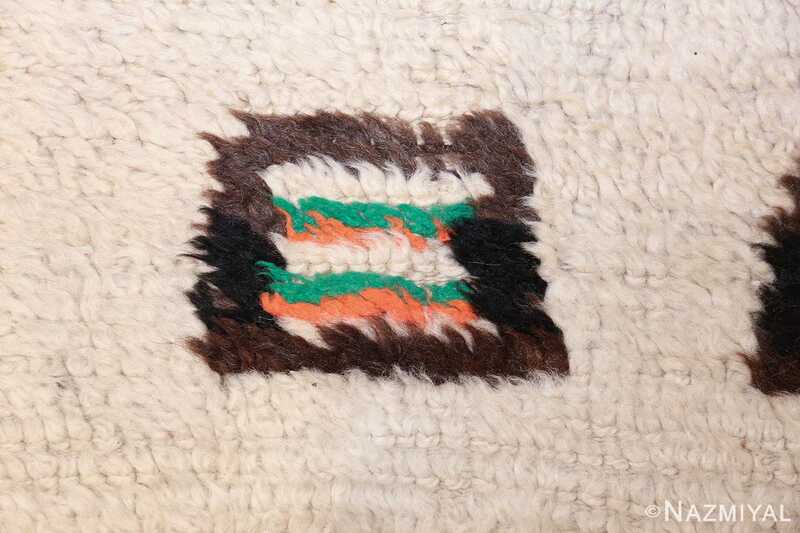 In general, mid-century Moroccan rugs feature minimalist, straightforward compositions, generally consisting of an ivory field and detail work consisting of intersecting line work. 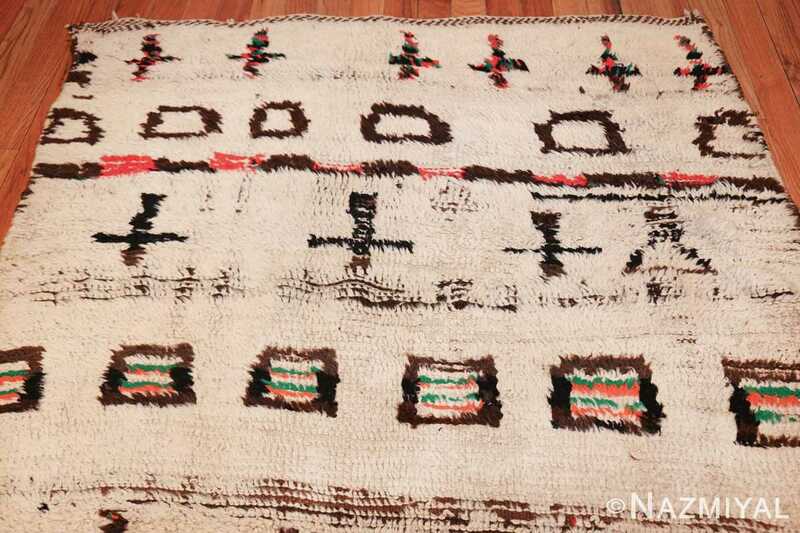 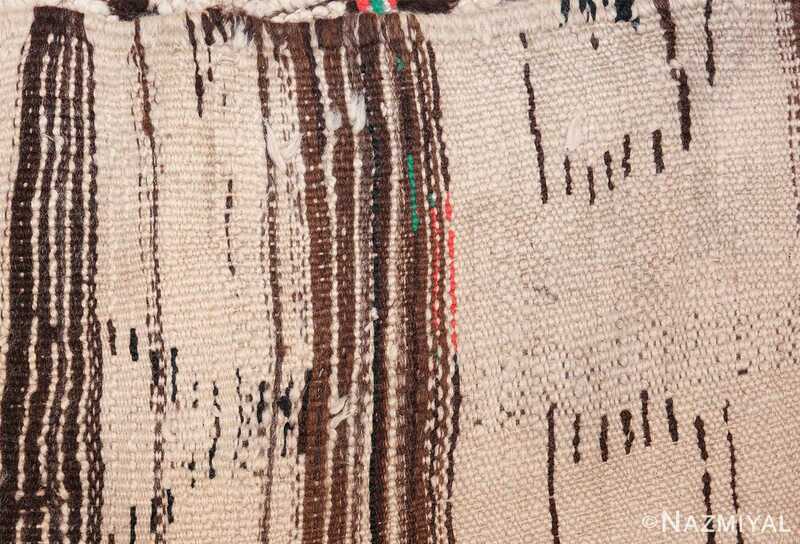 However, some rugs, such as this beautifully woven example, present themselves in a very different way: by incorporating bright and vibrant colors, and abstract, tribal elements of design. 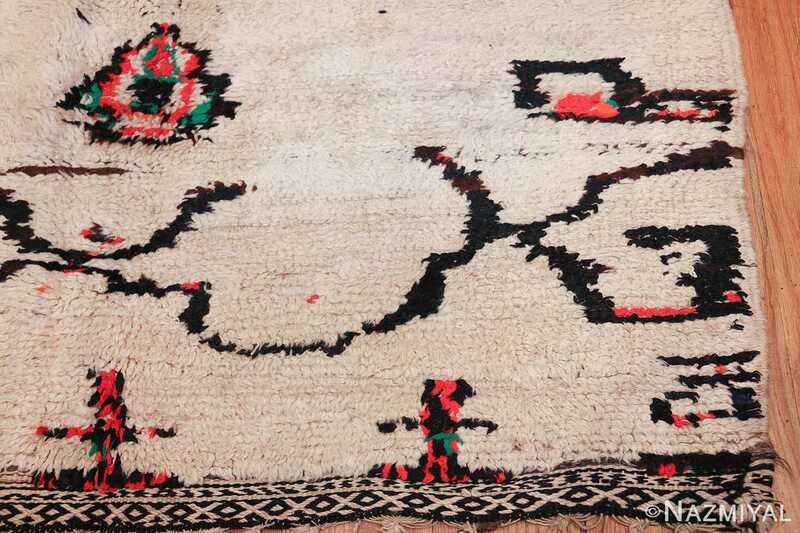 This carpet is decidedly in this latter category, boasting a highly complex composition of intriguing rival elements, colored in vibrant shades of red and green. Eccentric and idiosyncratic, these elements are scattered throughout the carpet at intriguingly irregular intervals, giving the entire piece a fascinating and lingering abstract quality. 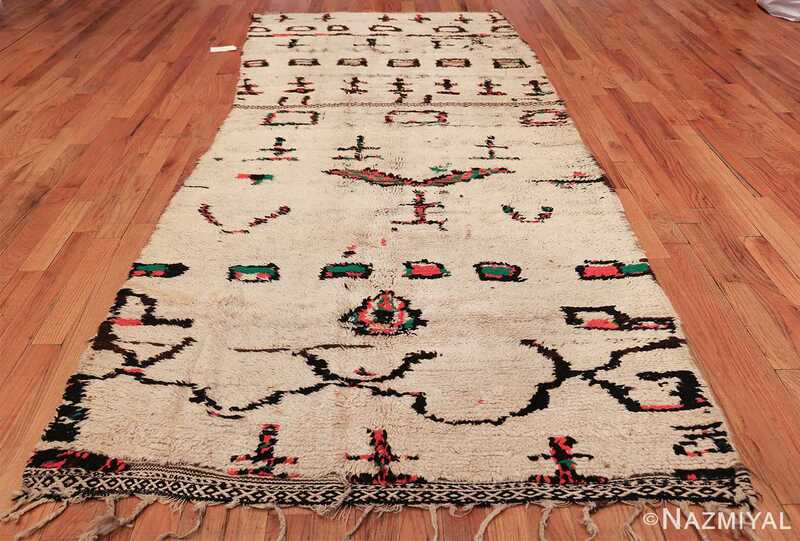 Crafted in the mid-20th century, this vintage Moroccan rug features a stellar repeating pattern with layers and layers of varied details and unique embellishments. 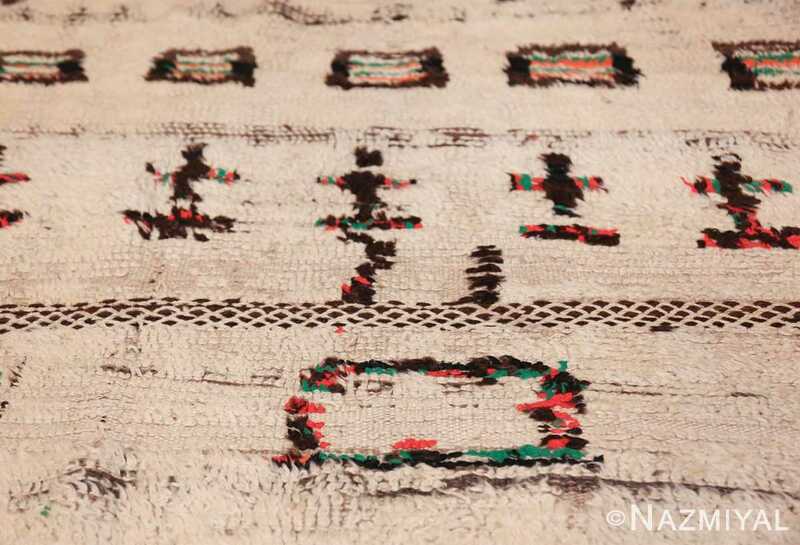 This elegant vintage mid-century rug created in Morocco features a remarkable cellular latticework pattern embellished with zigzagging borders and flat-weave ends.